Welcome to the latest episode of The Simply Smart Business Show. 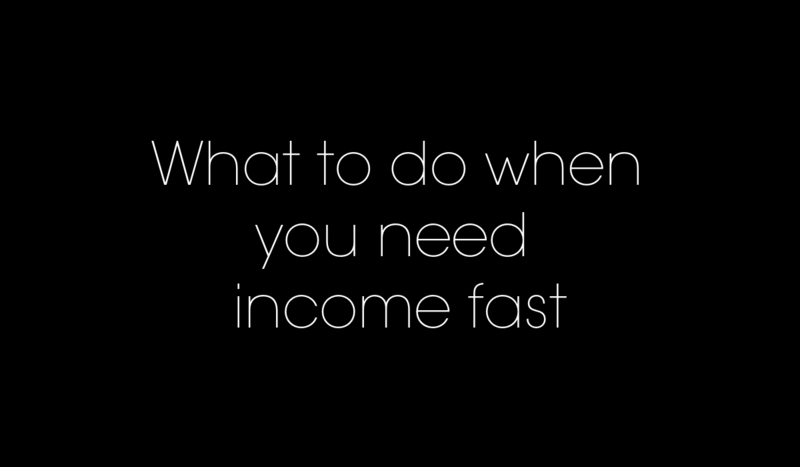 In this show, I’m talking about what you can do if you need a fast cash injection. Offer something that’s been popular before for the next 48 hours, at a slight discount. Or if you don’t want to discount the price (because not everybody does) package it up with a little extra to make the value irresistible. Another option would be to bundle up your passive income offers at a price that’s cheaper than buying everything individually on your website. Put together a one-off live session that walks people through your signature system or framework (with maybe a week of follow-up in a Facebook group). Offer a down-sell (or an up-sell) to people who have been warmed up through your last launch/sales activity. You’ve got to be comfortable with selling. You’ve got to switch your mindset from selling to serving. You’ve got to make yourself believe that you selling your thing is actually helping people. Whatever you’re taking out to the world, you have to believe in it 100%. If you don’t, why would anyone else? List everything out, and don’t forget to include things like Facebook and LinkedIn groups or hashtags you use on Instagram or Twitter. Be clear about your audience and your customers, and then think about their pain points, their problems, their desires, and their dreams. Where are they right now? What are their struggles? What are their problems that this thing solves? What are their dreams? What is this solution you’re offering? What impact will that have on their lives? Once you’re clear on the results and the benefits, list out all the features of your offer so you know them intimately. Make sure you have a specific target and put it somewhere visible so that it stays front of mind. If any doubts creep in about your ability to achieve your goal, head back to the mindset work. Celebrate the sales as they come in. I think people forget to do that. It sends a message to the Universe that you’re grateful and want more of the same.